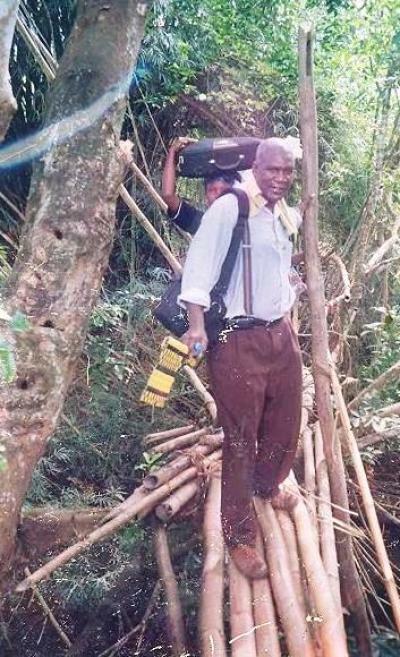 For Pastor James Cuffee, witchcraft is real. It's dangerous. It's deadly. It killed his father, and his cousin was murdered at the hands of a witch who claimed she could turn herself into a tree. 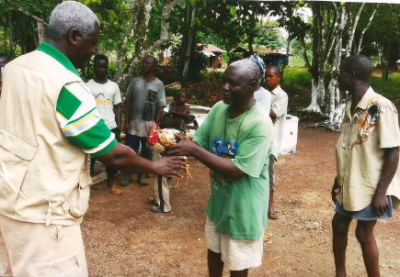 In deeply remote areas of Liberia, one of the world's hotspots for witchcraft, fighting the occult and bringing the lost to Christ is what missionaries' work looks like. "I came from a pagan home. My dad was a great hunter," Cuffee, of Christ Evangelistic Fellowship Ministries in Liberia, told The Christian Post in an email interview. The missionary said that practitioners of witchcraft demanded that his father make sacrifices to the gods of the land. "They [would] tell him to bring rice, chicken and sheep, they [would] perform their ritual, and take it to the white big rock in the jungle. They used to worship the rock, believing that there is a supreme power [in] it. They [would] go there and bow down to it, some even worshiping high forests and deep rivers," he recalled. When Cuffee's father broke the rules in 1969, he was killed. But he wasn't the only family member the pastor would lose to witchcraft. "My cousin was also killed by the witch when she and her friend had a [quarrel], which led to a face fight, [and the witch] promised to kill my cousin." A few months later, Cuffee's cousin went to the jungle to search for wood for cooking. That is when the witch, he said, "turned herself into a dry tree." "When she (the cousin) went to cut it, it immediately fell on her and broke her back," he said. His cousin endured four weeks of pain before she died. 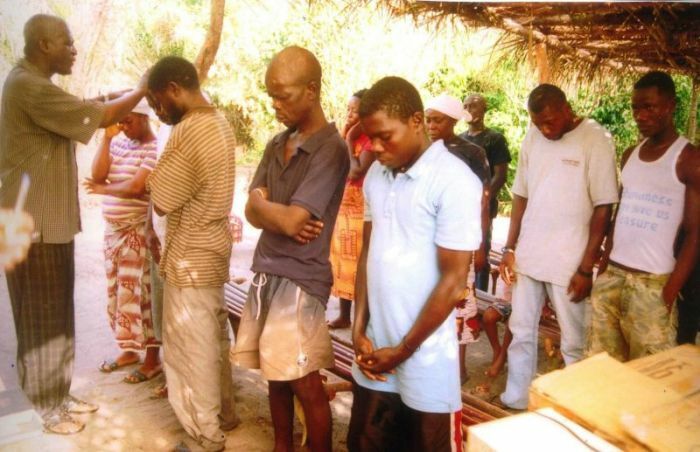 The village chiefs investigated the incident and found that the witchcraft practitioner was responsible for the murder. "She confessed that she was [the] killer by turning herself into the dry tree," the pastor recalled. 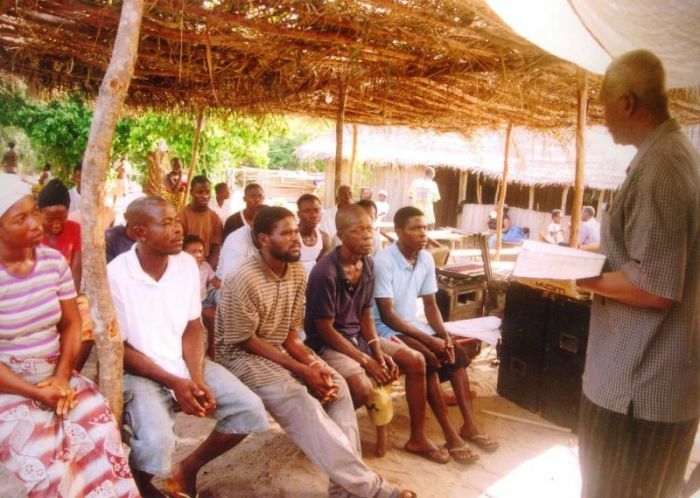 While over 85 percent of Liberia's population is Christian, some deep inland areas in the West African country haven't been reached by foreign missionaries for more than 200 years, according to Christian Aid Mission, a nonprofit group assisting overseas ministries, including CEFM. While there is much debate among Christian circles over the particularities of witchcraft, for missionaries like Cuffee, who are working in some of the most remote areas in the world to help lead people to Jesus Christ, there is no question — witchcraft is real. "Yes, witchcrafts [are] real forces from the devil using human beings or other creatures who are under the direct or indirect control of evil spirits to destroy human lives, as instructed to by the devil," he told CP. The pastor, whose ministry is serving 38 communities around the country, pointed to several passages in the Bible, including Micah 5:12 and 2 Kings 9:22, which talk about the existence of witchcraft. The dangers associated with the practice of witchcraft are very real, he said, starting first and foremost with the rejection of Christ as Lord and Savior. Cuffee explained that in the communities he serves, individuals involved in the occult can sometimes be people's family members, part of organizations, or even part of a church. He said those who admit to serving evil spirits have given themselves over to be used by the devil in order to carry out evil acts and plans. What this results in is followers of the occult finding themselves alone, "never being satisfied," always "having evil thoughts" and wanting to do evil to others. He warned that such lost people look to make others in their community sick, and sometimes shed innocent blood. Believers are trying to bring those who practice witchcraft to Christ, but it is a difficult and dangerous task, Cuffee explained. "Unless the spirit of God convicts them," he said, they remain "opposed to the Gospel message." In some cases, witchcraft practitioners have challenged preachers on whether they are truly called by God, and have "made sick or killed" missionaries. "That's why many people are afraid to witness" to followers of the occult, he noted. "They are very dangerous." Villagers in rural places believe that witches can change from human to animal forms, such as snakes, and use items called "jujus," like snake bones and bird parts, in order to cast spells. "But their power is not greater than the power of God in Christ Jesus," Cuffee said. The fight is important, he continued, as people who decide to leave behind witchcraft and follow Christ undergo a "complete transformation." As found in 2 Corinthians 5:17 in the Bible, he said, old things pass away and become new. "The person's relationship with friends, family, community dwellers [and] villagers will be changed completely, and [they] will be loved by all in their communities," he revealed. Leaving behind witchcraft is not always easy, however. A believer by the name of Varney fell heavily sick from an illness that the missionaries say was caused by witches, as they were angry that he decided to leave their way of life and follow Christ. As CAM explained, Varney's entire family decided to become Christians, but then his rice and cassava crops mysteriously withered. Then the new believer was stricken by a debilitating illness that no doctor had any idea how to treat. Cuffee said that only the community's prayer for help from Jesus managed to restore Varney's health. "He couldn't talk. But after the prayer, he began to talk and ask for water to drink. Thereafter, a few hours later, he began to eat his food," he said, according to CAM. The pastor told CP that even when people decide to follow Jesus, they will continue facing temptations, sickness and other difficulties. "Satan will always try you" but will lose, such as when "the power of God descended upon Varney on that day, when we prayed," Cuffee said. "It also happened to Prophet Job and Hezekiah when the healing power of God touched them; they were healed from their sickness," he noted, stating that Varney's experience has allowed him to get to know Christ better. He warned that those who say they are Christians but still continue to practice witchcraft will never be fully healed because as Jesus said, "no man can serve two masters, he will either love one, or forsake the other." Cuffee insisted that for believers to be truly free, they must give their life completely to Christ and allow Him to take control. 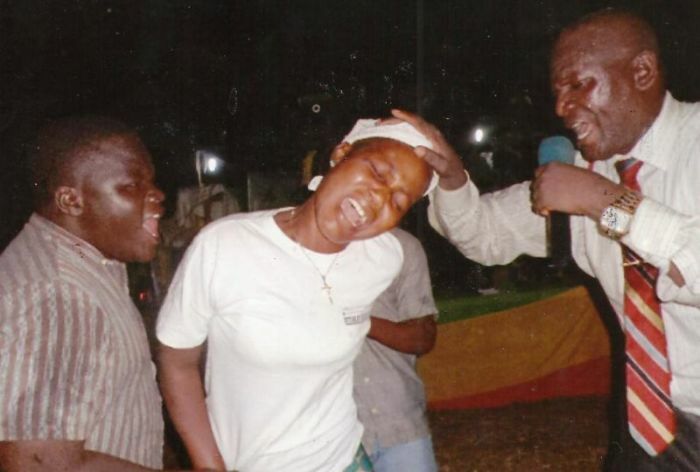 Reports of demonic attacks targeting missionaries in far off corners of the world are not new. 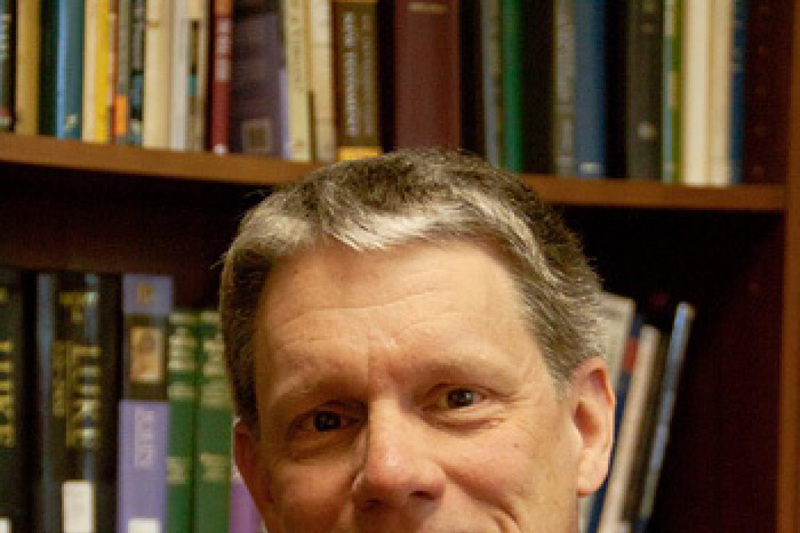 Bruce Smith, president of Wycliffe Associates, told CP in December that "demonic oppression" incidents have been commonplace in communities asking for Bibles in their own languages. "What we've seen, especially in this last year-and-a-half, is that as we move into more of Satan's strongholds around the world, he does not go quietly," Smith told CP at the time. "We have had many translation workshops that have had demonic manifestations and impacts, where individuals in the group are being attacked and oppressed; or the group as a whole may have an oppression; just lots of things that can only be explained as spiritual warfare." Liberia's long-standing problems with witchcraft have been highlighted by major organizations, including the United Nations. The U.N. Mission in Liberia and Office of the High Commissioner for Human Rights warned in a December 2015 report that sensitives around the occult also lead to violence for those accused of witchcraft, in the form of "cleansing" or "exorcism" rituals, expulsion, and in some cases, death. "The authorities often hesitate to investigate or prosecute cases involving trial by ordeal, due to the perceived cultural dimensions of the practice. As a result, criminal offenses committed during trial by ordeal go unpunished. This has generated a widespread culture of impunity among traditional actors," the report stated. U.N. High Commissioner for Human Rights Zeid Ra'ad Al Hussein insisted that Liberia's human rights obligations "must take precedence over any local practices considered to be 'cultural' or 'traditional,' where such practices are incompatible with human rights principles." Controversy has also stirred around young people being accused of witchcraft, The Telegraph reported in August 2016, with some churches offering their stage for parents to bring children they believe are controlled by evil to be cleansed. The nation of 4.6 million people has faced massive tragedies in recent decades, including a military coup in 1980 that led to civil war and the deaths of nearly 250,000 people. The country, which is one of the oldest African republics and ranked No. 177 on the U.N. Human Development Index, has also suffered through outbreaks of the Ebola virus in the last decade, with the majority of its population remaining steeped in poverty. Cuffee told CP that the battle against "evil spirits" remains an important priority, however, as the Christian faith is providing hope and a new life for many. "As Christians, we must double efforts to reach out for Christ because the devil is working overtime, knowing that his time is very short. Jesus is coming back for His Church," he said. The pastor added that some of the biggest needs of his ministry include financial support, along with a Nissan patrol jeep and four-wheel drive pickup so that he can travel to other rural areas and unreached villages in order to share the Gospel. The ministry leader said that his group's headquarters church in Monrovia is currently under construction. They are also looking to build an orphanage and school to care for suffering children in the country, which he said people can help support by donating to Christian Aid Mission.